As we ponder the fate of post-industrial cities such as Detroit, Cleveland, and Baltimore, it is important to enhance our knowledge base on urbanism. The more we know about the urban world around us, the better we will be at critically assessing new re-development proposals for the city. From “right-sizing” to farming, cities, like Detroit, that are at a critical point in their history, will be the test cases for the latest concepts. 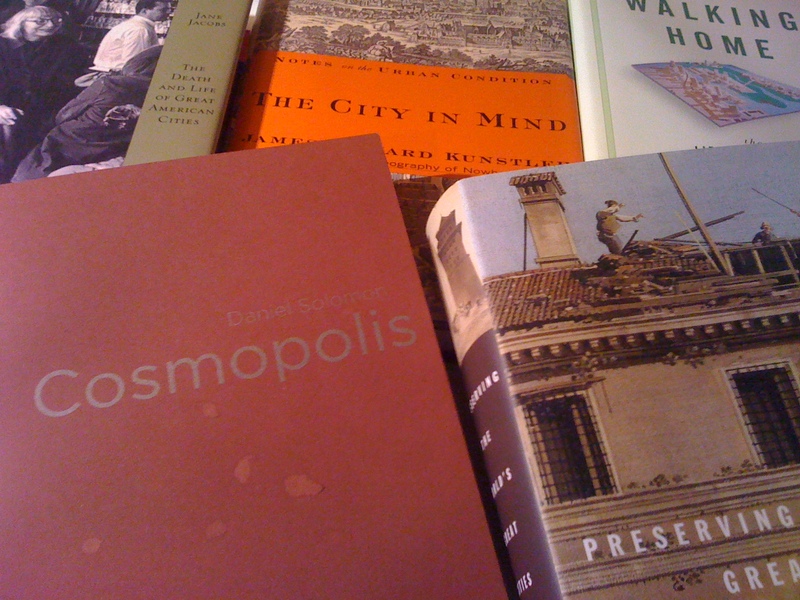 The following books provide a range of perspectives on the unique aspects of cities that we should always keep in mind. The first four are classics in urban texts. The second four expand the conversation looking at the city with fresh eyes. book on city building, regardless of Jacobs’s anti-planning bent. York unique and how the essence of the city comes from its “culture of congestion”. us with an analysis of the history of urban form and what makes cities work. is irreverent in his brutally honest assessment of the state of the world’s cities. building cities around the globe. 3. Preserving the World’s Great Cities by Anthony Tung- An in depth look at preservation initiatives in historic cities ranging from Jerusalem to Venice. cosmopolitan nature of successful cities.